There’s always an internet “comment section war” regarding where the late Aaliyah Haughton’s career would be today if she were still living; some say she would be as big as or bigger than Beyonce, but, of course, the Beyhive would disagree. Last summer, as news about the Lifetime Aaliyah movie hit the fan, her family was very outspoken about being against the project. Her uncle Barry and cousin Jomo Hankerson have said they think the late singer would have been on Beyonce’s superstar level right now. Well, T-Pain has opened up this can of worms again! 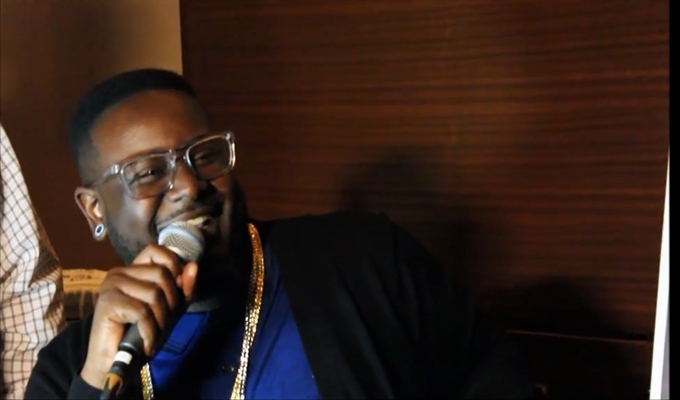 At a listening party for his latest mixtape, The Iron Way, T-Pain explained he had a song called “Girlfriend” billed for the project featuring an Aaliyah vocal sample. However, it was scrapped from the project because people didn’t think that Pain was “worthy” of using an Aaliyah sample. He explained he was approached to appear on a posthumous Aaliyah album a few years back, and instead of charging for his contribution, he did one for that album for free, and they gave him some of her vocal sessions for his creative use. I understand what Pain was trying to say, but the wording sounds harsh. Watch the clips below and listen to the song (in the second video).